"Build a better mousetrap and the world will beat a path to your door"
It seems that every medical manufacturer is convinced that the product or device they make is the best solution for the specific needs their product addresses. Innovation is the key to success. It is like the old saying "Build a better mousetrap and the world will beat a path to your door". Even though it is apparently a misquote of Ralph Waldo Emerson, the idea still holds true, that innovation sells. Making something that is better, faster, easier, and less expensive is what drives industry, and especially small businesses. The problem is that many times the world does not know that the better medical device, service or mousetrap, even exists. If only the potential customer knew about them and the benefit that their product(s) provides, that product would run off of their shelves. That is where marketing comes in. Traditional marketing is an outbound activity that seeks to get one company, product, service or mousetrap noticed above all others by banging a bigger drum or building a bigger sign. 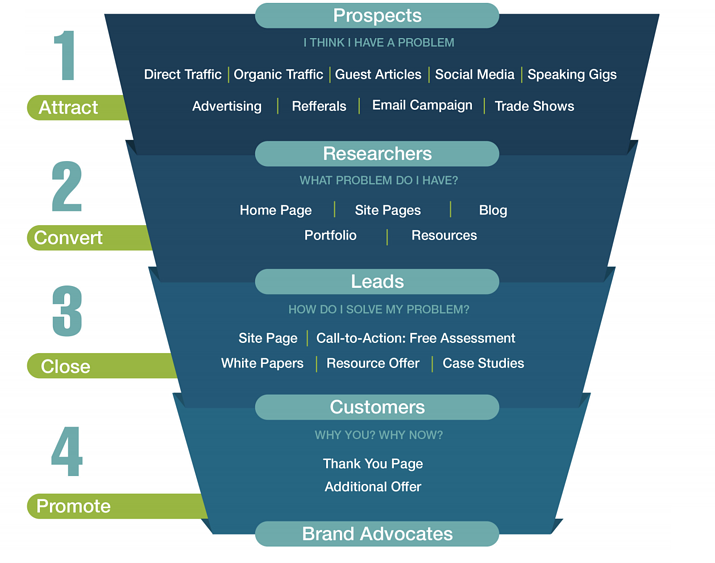 Inbound (digital) marketing is much more market- situation-specific in its approach. 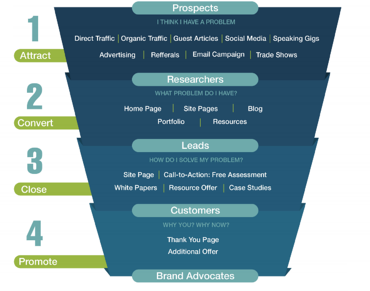 It uses a sales funnel model to identify and develop market- and sales- qualified leads that can become product/service purchasers. Here are 6 strategies for generating leads that you can then turn into sales. This is critical. Your website is your bricks and mortar building on the internet. 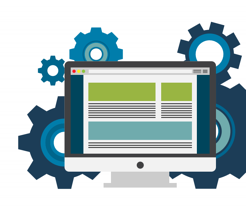 These two blogs will give some greater insight into what we mean by that: Optimizing Your Website for Sales and The #1 Sales & Marketing Tool for Healthcare Manufacturers with Small Budgets. Your website needs to be neat, clean and attractive. It needs to be easy to navigate so your visitors can find their way around. It needs to look fresh and up-to-date, not stale and stodgy. You don't want to show off your fantastic product in a dingy storefront. Make it bright and appealing so the potential buyer will want to come back. Once you have a store you have to have a way to bring your potential customers to your door. This may mean putting up signs to direct people to where you are. In the world of digital marketing, it means using search engine optimization (SEO) strategies to direct interested parties to your website, where they can find your product. 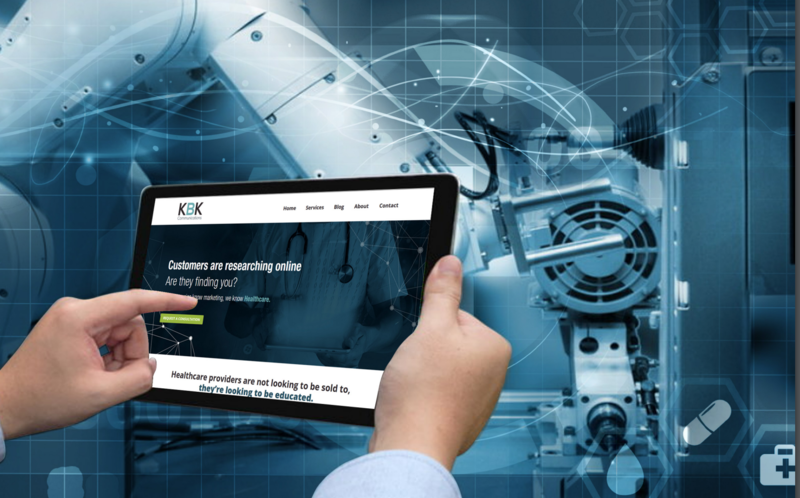 This blog, Get Found: Understanding the Principles of SEO for Healthcare Manufacturers delves a little deeper into that strategy. Suffice it to say that to really get found you need to be on the first page or so for the search terms you want to rank for. The only way to do that is to develop an SEO strategy, use keywords that are popular - but not overly utilized - prepare content (blogs) to support the topic and write/post meta-descriptions of those blogs. Having a robust website with a lot of content helps to promote your SEO ranking. As the blog referenced above states, your SEO strategy should have a direct impact on your social media activity. Use Social Media to Prospect for Healthcare Leads by using social media sites like Twitter, Facebook, LinkedIn, etc. Here is a recent blog post ranking the top fifteen social media sites. It shows that LinkedIn while being way down on the list, can still boast roughly 100 million visitors per month. So when you do put something on social media then the question is, "How will it be received?". Here is another blog to provide some guidance so that using social media will make sense for your company. However, you need to be aware that there are right and wrong ways to do email marketing for healthcare. You will want to do things that will increase the frequency that the email recipients actually open the email you send out and, more to the point, respond to the offer you are providing. You definitely want to avoid having the email that you crafted so arduously go straight to the trash without being seen, or to be labeled as spam. 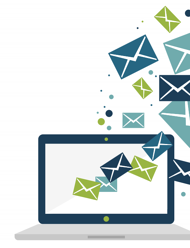 Is Your Email Marketing Working for Your Business? Is another blog that provides even more direction on how to make your emails attractive to your targeted audience and increase the open rate to get your message to your potential customer. 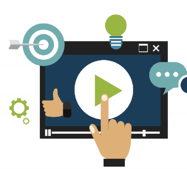 Using a Multimedia Content Approach for Healthcare and Lead Generation gives visitors some variety when viewing the content being presented. As a small medical manufacturer, you may think that your options for getting your message out to your potential customer is limited by your own size. They are not! Instead, it may be limited only by your vision and by the creativity and expertise of your digital marketing partner. As the blog referenced above indicates, different people react and respond to different styles of messages. 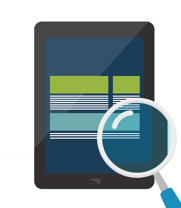 Some people may like to read printed materials, others may prefer listening to a podcast or watching a video. Still, others may like to have things presented in a list while their cohorts prefer the visual presentation of an infographic. Similarly, different types of information may lend themselves better to different types of media. Side-by-side lists and infographics appear to work well for comparisons, while videos seem to work better for demonstrations and testimonials. Numbers heavy presentations seem to do well in an infographic form of presentation, while conceptual content may be better presented in writing or by a podcast. Don't shy away from trying out different types of media presentations. You can even use different media styles to present the same information. By doing so you may actually broaden your reach to potential buyers. No matter how big or small your company may be, identifying with the buyer's journey is essential for creating a successful purchasing pathway. Basically, you as the product/service manufacturer/provider, need to put yourself in the shoes of your potential buyer and go through the solution selection process for their specific problem. How am I going to address that problem? Does this process look familiar? We all pretty much do the same thing. Whether we need a water filter, a new car battery, camping equipment or a computer system for a new ambulatory surgery center, the process is pretty much the same. Please note that the decision to contact someone from the company comes way at the end of the purchasing process. a. What do I need to know to attract potential buyers? b. What do I need to do to convert that potential buyer to a qualified lead? c. What do I need to close the sale? d. What do I need to do to delight and retain that customer and make it a brand advocate? Providing answers to questions like that is what we are all about. 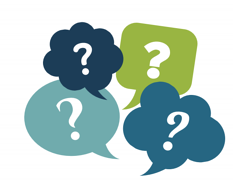 Have a question, contact us here.